The beauty in life is that you can’t be certain about what’s going to happen next and what surprises each day has in store for you. Not surprisingly, your pension probably isn’t the first thing that comes to mind when you are passing through such events. However, it is something worth taking into consideration seeing as you’ve likely invested a significant amount of time growing your pension pot. In light of this, Portafina has provided useful tips that should be able to help anyone who has a pension and may be going through one life-changing event or the other. One life event that people don’t often hope to experience is a divorce. However, with the present divorce rate, it can seem like an inevitable fate for many. One of the most difficult things about divorce can be having to separate or share your assets. Usually, your pension should be included in a financial settlement in the event of a divorce, but there are ways around it. For instance, you could do pension sharing or pension offsetting which is when the value of the pension is offset against other assets. People don’t often like to think about death as a result of the negative stigmas attached to it. If you’re one of those people that has always hoped they’d live for many years, then the thought of death is probably not a pleasant one. However, it is a reality so you should be thinking about what will happen to your pension savings once you’re gone. There are several things that could happen to your pensions when you die, so it’s heavily dependent on what you’d like to do with your money. You could decide to give it to some of your closest loved ones like friends or family. On the other hand, if you have a charitable organisation that you’ve always wanted to donate to, this would be the perfect time to do so as well. Contact your pension provider and find out what your options are and put those measures in place as early as possible. Similar to death, illness is another thing that most people don’t expect to happen to them, especially when it is severe or terminal. If you do ever get ill, you should know what your options are in terms of your pensions. Ultimately, it boils down to what pensions you have and what’s written in fine print. For some pension providers, they’ll allow you to access some if not all of your funds in the case that you’re ill and need to withdraw before the age of 55. In the case of state pensions, however, it’s usually an absolute no-go. Apparently, between 4.5 and 5.5 million Brits live abroad. This could be because they’re after greener pastures or simply want more sunshine in their lives. 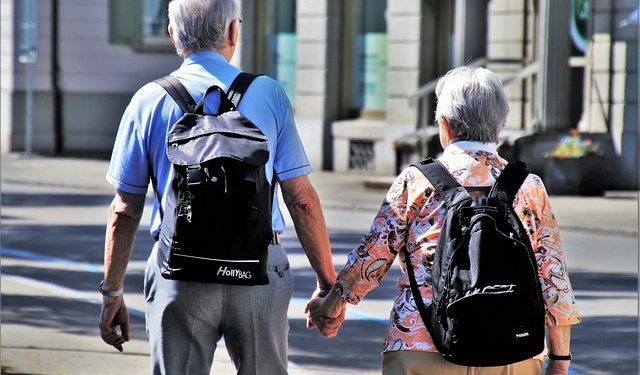 Nevertheless, if you happen to be close to retirement age and thinking about moving abroad, you should be aware that it could affect your pensions. This is because firstly, you may find that they’re more difficult to access seeing as you’re so far away. Secondly, you may not qualify for tax relief which could mean that you end up paying a significant amount in taxes. For this reason, it’s worth doing your research before deciding to live abroad. Knowing your options could help you make a decision that benefits you financially. Another life-changing event for anyone is starting a new job. This can signify a new beginning for many, but what happens to your pension pot when you do? The answer is that if you’re over the age of 22 and are earning £10,000 or more, by law, your employer is required to enroll you in a workplace pension scheme. It will then be mandatory for you and your employer to pay the minimum contribution which is 8% as of April 2019. In most cases, you should be able to transfer your old pension scheme or any other pension pots you have. If you’re wondering whether that’s the best decision for you, it’s heavily dependent on the terms and conditions of both your old and new workplace pension schemes. However, for any new developments, you should follow Portafina’s Facebook page. At times, your finances don’t go according to plan and you could end up having to declare bankruptcy. This can be a difficult time for anyone, especially if you’ve been saving towards your pensions for years. You should know that if this does happen to you, all hope is not lost. This is because your pensions savings aren’t classed as an asset meaning that they’re safe. With that being said, there are still rules and regulations regarding how you can access and save into your pensions in the case of bankruptcy, so it’s important that you get familiar with them. Knowing exactly where you stand should help give you a greater sense of security which everyone should have. It isn’t uncommon for employers to downsize or liquidate their companies altogether. This could lead to employees being made redundant and for most, this can be devastating in many ways. It can have a negative impact on their finances and wellbeing as well as threaten their stability. Another worry could be what will happen to your pensions, especially if you’ve been contributing for years. You shouldn’t stress as your workplace pension will still exist. The only difference will be that your employer will no longer be making contributions, but you can continue to. Alternatively, if you feel it will make more financial sense, you could transfer your workplace pension to an existing or new scheme instead. You could go the route fo doing so through a new employer or just get a stand-alone personal pension if that will make you feel more secure. If you have any questions or would like to find out more you can visit Portafina Discovery a handy resource hub. They also have lots of information on their social channels, YouTube and @Portafina UK on LinkdIn.